In this piece by Alison Gerber for HYPERALLERGIC, she exposes how the largest Minnesota newspaper failed to mention the artist Christine Baeumler’s name in a story about her artwork. Then, Gerber writes, "they doubled down, insisting that it was an omission, not an error. It’s part of a larger pattern of writing women out of their own work." Read on for an excerpt, or read the full story on HYPERALLERGIC. 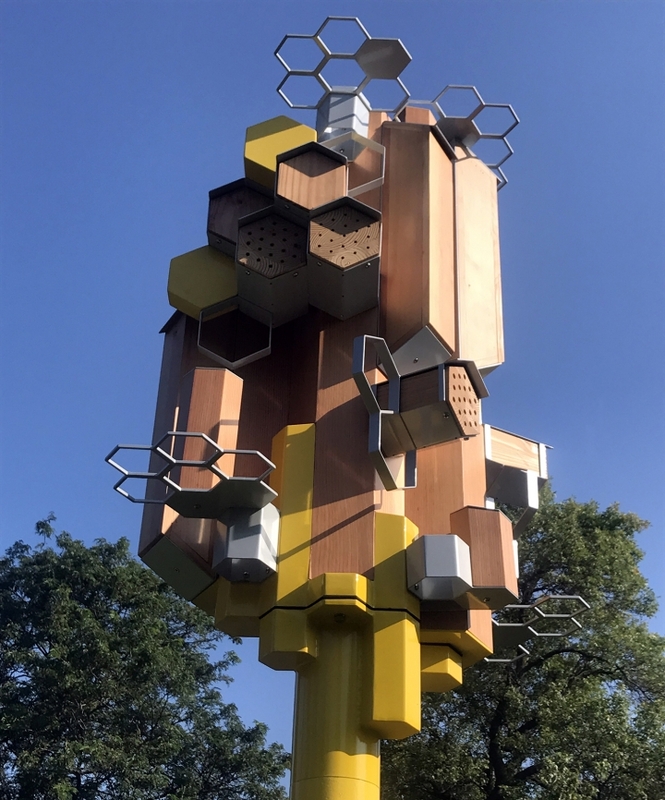 Christine Baeumler, Amanda Lovelee, and Julie Benda, “Pollinator Skyrise” (2017), (photo by Christine Baeumler for Hyperallergic) Reposted with permission from the author. READ THE FULL STORY AT HYPERALLERGIC. ‘Remix’ or plagiarism? Artists battle over a Chicago mural of Michelle Obama. Sign up and we'll send you inspiration. We respect your privacy, and never bombard you with spam. Thank you for signing up! We can't wait to be in touch. © 2017 Space Lab Art & Design. All rights reserved.